Your house will have a remarkable and phenomenal style with this modern coffee tables in it. 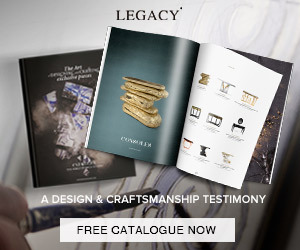 Embrace luxury as is best and create the living room of your dreams. In order to have a complete living room it’s completely necessary a coffee table. Without one there will always be a sense of an incomplete space. So, for that we present ten modern coffee tables which will amaze everyone and create a unique environment. To start in a great way we have an amazing piece of luxury furniture. 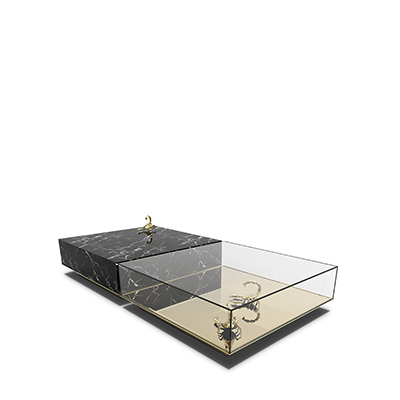 The Soho Black coffee table by Boca do Lobo. It provides an exclusive ambiance to your contemporary living room. Secondly we have a very functional piece of design. It works as a multi-level table which is very important if you need a bit of extra space, as it can be tucked away into one. For a pinkish styled room there’s no better coffee table than the following one. An opulent look which will astonish anyone who sees it. Another pink touch to the living room, this time with a coffee table from BRABBU. The Manuka is one of the most unique and beneficial forms of honey in the world and made from a flower that only grows in New Zealand. 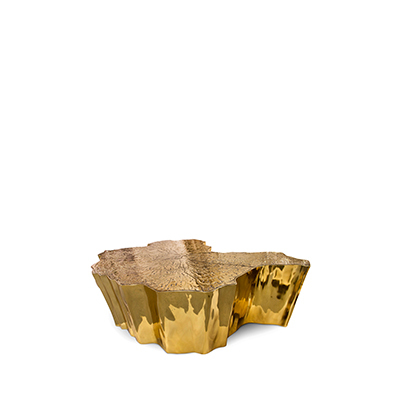 One of the most beautiful contemporary coffee tables. The following room has an exquisite look. A piece of luxury with black and gold tons creates a most-wanted table. Next we have a round coffee table that looks marvelous! Next we have a glass coffee table. With incredible details combined with the chair, this room surely is a pleasure to everyone. 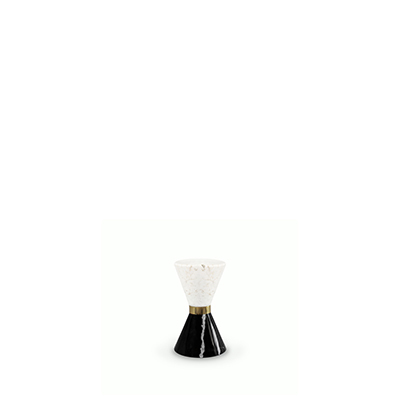 A product from Boca do Lobo, the Pearl. 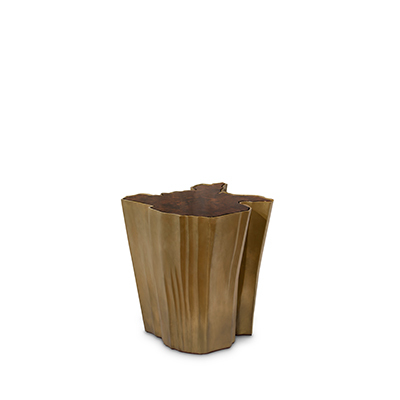 The tabletop is available in wood veneers and finished in a high gloss varnish. The magnificent and elegant drawings on the top are either in rosewood or palisander. Time to an astonishing marble coffee table. This kind of material is an eternal trend that everyone admires. 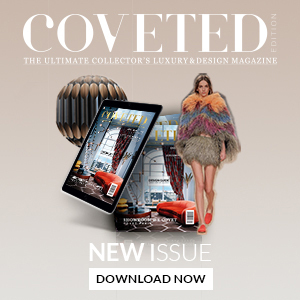 This coffee table sets are truly inspiring. 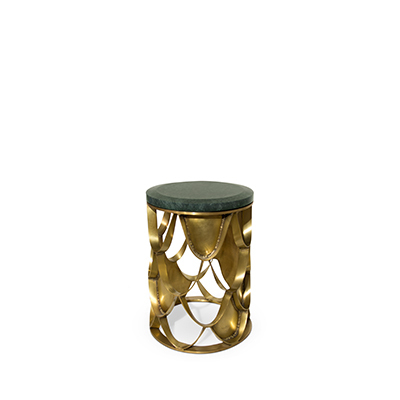 To finish the ten sugestion we have one more luxury product from Boca do Lobo. 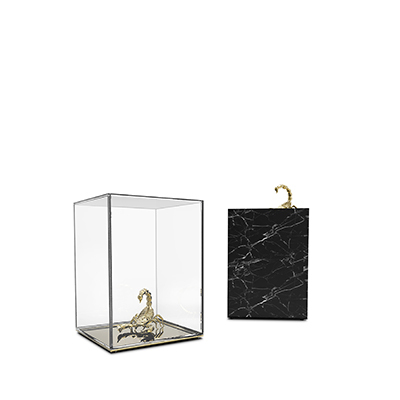 The Metamorphosis is composed by two fragments, finished in mirror and noble marble and beautified by the presence of golden creatures that are prepared for their ultimate metamorphosis.